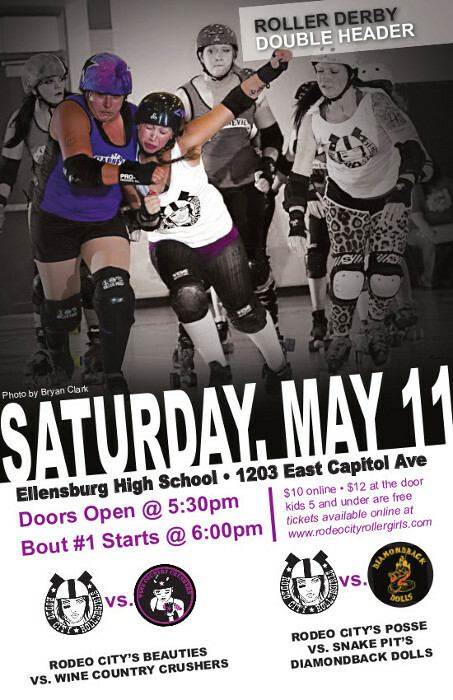 The Rodeo City Rollergirls host another double header on May 11th, 2013. Come see our B team, the Beauties, take on … oops, a last minute change… the Rainier Roller Girls B Team! Our A team ladies, The Posse, will be up against Snake Pit’s Diamondback Dolls from Coeur D’Alene, ID. What’s better than women’s flat track roller derby on Saturday evening?! Nothing!